Here is the thing….your foundation game can either make or break you! 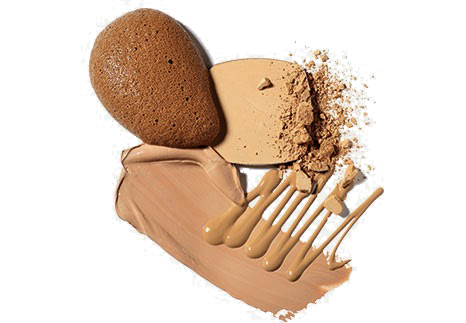 It is extremely important to know your foundation shade to avoid looking cake faced. But finding your correct shade match is not that easy, and a little technical. But once you ace how to figure it out, consider your life made. Read on to find the shade thats meant for you! For a quick guide on how to determine your undertone click here. Cool: If your skin is more blue, red, or pink tones. Warm: If your skin is more golden, yellow, or peach tones. Neutral: If your skin has a combination of cool and warm tones. To determine your skin type, first wash your face. Next, don’t apply anything on it for 1-2 hours, and then notice if you see the following changes. Normal Skin: You will see minimum imperfections and your face will have a healthy glow. Oily Skin: Your face will feel oily all over. Combination Skin: Your T zone will feel oily only. Other parts of the face will feel either normal or dry. Dry Skin: Your face will feel dry all over. Always swatch your foundation from your chin till neck (NOT your face or wrist as commonly done) to find the best match for your skin tone. Avoid swatching it on your wrist, as the skin of the inner arm is slighly lighter toned than the skin tone on your face. Always check your foundation shade under the Natural Light of the Sun, and not in artificial lighting. Sunlight has all seven colors of the rainbow, therefore, the exact shades are properly visible to the naked eye. Thats all you need to know to find your perfect foundation! What would you like us to guide you on? Comment below.